Granville’s years at the California School of Design were marked by success. He won the famous W. E. Brown Medal of Excellence and was hailed as one of the top students in the school. Perhaps most importantly he met Gottardo Piazzoni, another student at the school. 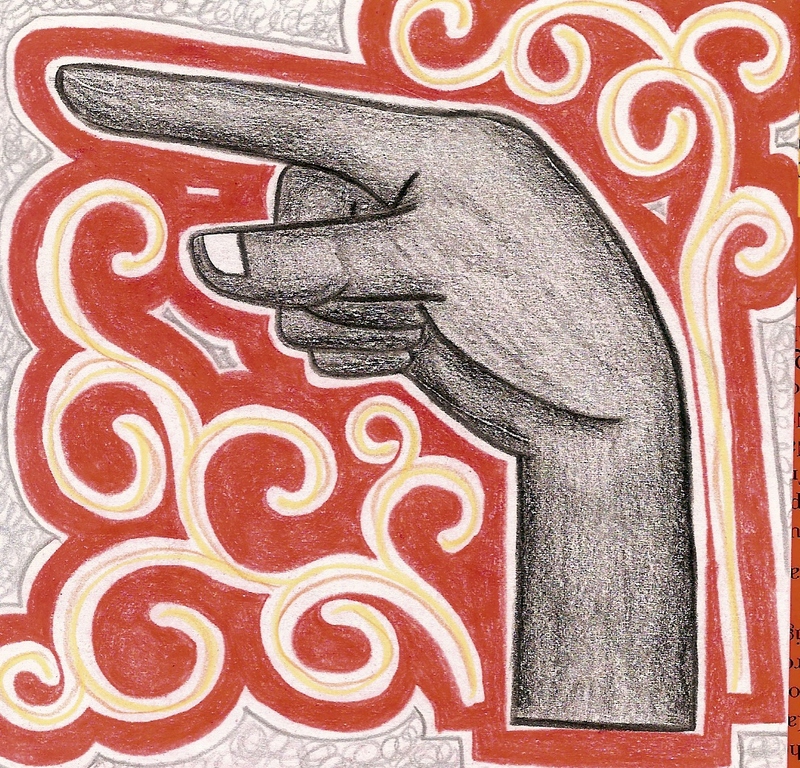 The two became fast friends and remained so for the rest of their lives, Gottardo learning to sign so the two could communicate better. After three years at the California School of Design, the California School for the Deaf decided that Granville was so talented they wanted to sponsor him to attend an art school in Paris. Granville enrolled at the Academie Julien in Paris with several other students who were sponsored by the California School for the Deaf, including his roommate, Douglas Tilden. Granville’s time at the Paris school was also successful for him, and culminated in his painting, Matin d’hivre, being accepted into the world famous Paris Salon in 1895. When he returned from Paris, Granville decided to settle in Los Angeles. 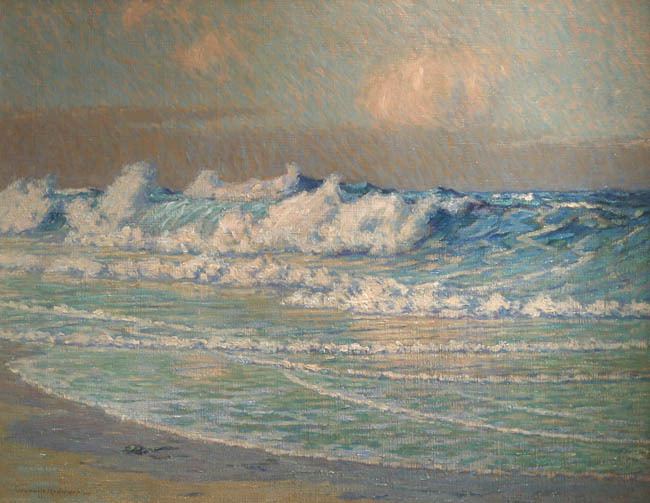 There he fell in love with the beaches, and started painting many of the ocean scenes he’s best known for. He also fell in love with a deaf woman named Carrie Ann Jean. The two were married in 1899 and had three children. To make ends meet, Granville often worked as an illustrator for various periodicals, and painted scenes for the Santa Fe Railroad. The family moved several times during this period, living in San Mateo, Tiburon, and Parkfield. 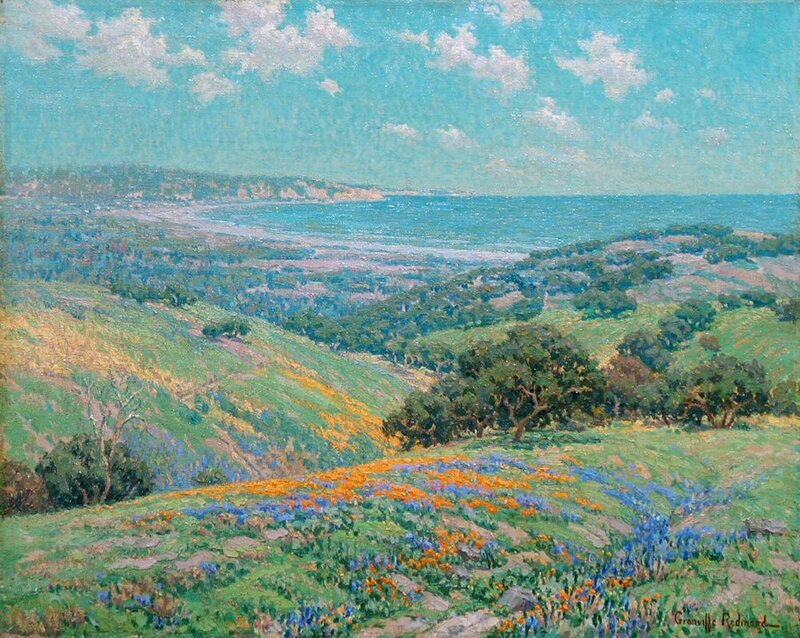 This gave Granville more and more material for his paintings and by 1905 he was known as the leading California landscape painter. 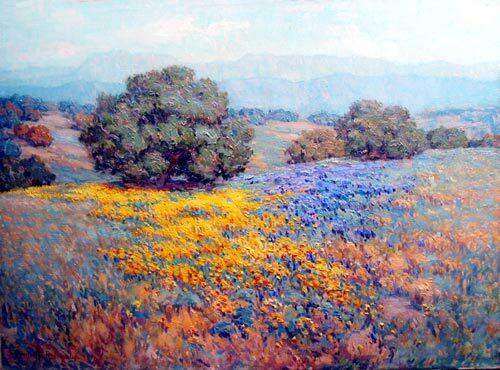 His impressionistic California landscapes were often compared to artists such as Monet and Pizarro. Although his painting career was going well, Granville was fascinated by the movies. All movies being made were silent at this time, so Granville’s deafness was not an obstacle, and he suspected that with his background in pantomime he could make a great movie star. Granville moved back to Los Angeles in 1917 to pursue an acting career. Shortly after his move, he met Charlie Chaplin. 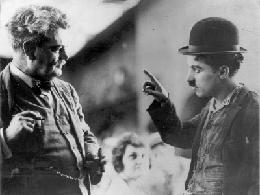 Chaplin was fascinated by Granville’s abilities and the two eventually became friends. Chaplin asked Granville to teach him to sign, and in return Granville was given a bit part in the movie A Dog’s Life. Granville did such a great job that he often appeared in Chaplin’s films after that. Even better, Chaplin arranged for Granville to set up a painting studio on the movie studio lot. 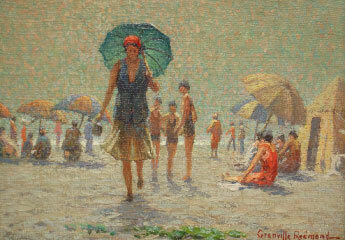 In his spare time, Granville also liked to travel to Laguna Beach to paint outdoors. Granville died in Hollywood on May 24, 1935. He will always be known for his paintings featuring the rolling hills of California dotted by wildflowers, the moody colors of sunsets and moonlit waters, and beautiful brown vignettes of trees. His work is featured in museums across America and is still widely popular. Just before he died, Granville stated: “The highest tribute paid to an artist is the reflection of man’s noblest work – to inspire.” Granville’s life was wealth of artistic experiences. His vision will always live on in the inspiration he has been giving future artists for generations. Love the blog, stories are always interesting & informative! ….. Keep them coming!